Achievements: Rio titled early and is a multi class in show winner as well as Puppy in Show winner at a Ridgeback Specialty. 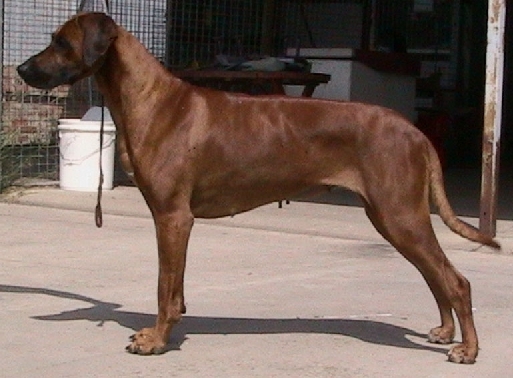 She was retired early for maternal duties and produced 2 champions. Unfortunately Rio was killed in an accident on new years eve, much to our horror.